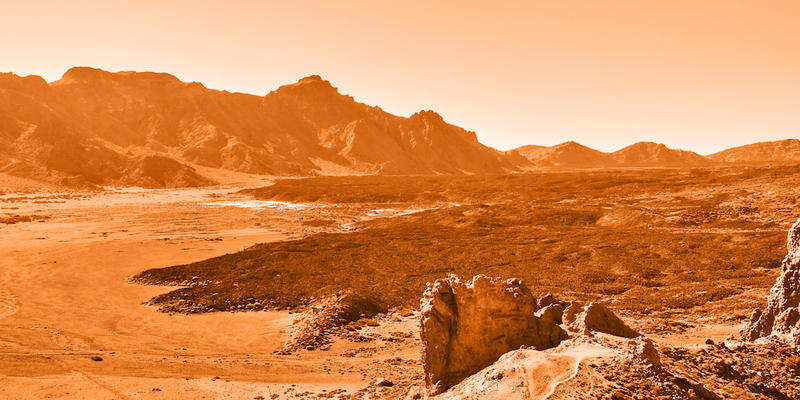 Researchers demonstrate for the first time the potential of existing technology to directly detect and characterize life on Mars and other planets. The study, published in Frontiers in Microbiology, used miniaturized scientific instruments and new microbiology techniques to identify and examine microorganisms in the Canadian high Arctic — one of the closest analogs to Mars on Earth. By avoiding delays that come with having to return samples to a laboratory for analysis, the methodology could also be used on Earth to detect and identify pathogens during epidemics in remote areas. At present, most instruments on astrobiology missions look for habitable conditions, small organic molecules and other “biosignatures” that generally could not be formed without life. However, these provide only indirect evidence of life. Moreover, current instruments are relatively large and heavy with high energy requirements. This makes them unsuitable for missions to Europa and Enceladus — moons of Jupiter and Saturn which, along with Mars, are the primary targets in the search for life in our solar system. Dr Goordial, together with Professor Lyle Whyte and other scientists from Canada’s McGill University, took a different approach: the use of multiple, miniature instruments to directly detect and analyze life. Using existing low-cost and low-weight technology in new ways, the team created a modular “life detection platform” able to culture microorganisms from soil samples, assess microbial activity, and sequence DNA and RNA. “Successful detection of nucleic acids in Martian permafrost samples would provide unambiguous evidence of life on another world,” says Professor Whyte. In the meantime, the platform has potential applications here on Earth. “The types of analyses performed by our platform are typically carried out in the laboratory, after shipping samples back from the field. We show that microbial ecology studies can now be done in real time, directly on site — including in extreme environments like the Arctic and Antarctic,” says Dr Goordial. This could be useful in remote and hard to sample areas, in cases where bringing samples back to the lab may change their composition, and for gaining information in real time – such as detecting and identifying pathogens during epidemics in remote areas, or when conditions are rapidly changing. And one day it may indeed provide conclusive evidence for life beyond Earth. “Several planetary bodies are thought to have habitable conditions, it’s an exciting time for astrobiology,” says Dr Goordial. The research was funded by the Canadian Space Agency, the McGill Space Institute, and the Natural Sciences and Research Engineering Council of Canada (NSERC).